Would you like to accelerate your ability to heal yourself, your family and others? Become a Divine Healing Hands Soul Healer. Register and attend a 2-day Divine Healing Hands training event with your local Divine Healing Hand Guide. Then attend a 3-day Global Divine Healing Hands training with Divine Channels in your region to receive the spiritual transmissions: 1) a Divine Healing Hand soul downloaded to your right or left hand, 2) Divine Light Wall, and 3) Divine Pendulum. 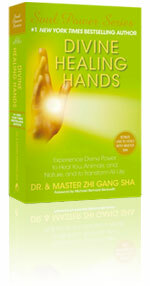 Read Divine Healing Hands textbook, and attend the online course for new Divine Healing Hands. Receive your certification as a certified Divine Healing Hands Soul Healer from the Soul Power Institute. Join a Master Sha's Soul Healing Group in your area, or a Love Peace Harmony Group, and practice the basic techniques and methods of soul healing. Join Master Sha's Soul Healing Miracles Chanting Channel to receive blessings from the Divine Channels and Master Sha. Attend Free Tao Healing Miracle Blessings for Humanity from 2-3 PM ET every Saturday via Master Sha TV or by teleconference. Attend Sunday Divine Blessings from 2-3 PM ET every Sunday by teleconference. Sign up for notifications of global and local retreats, workshops and classes.